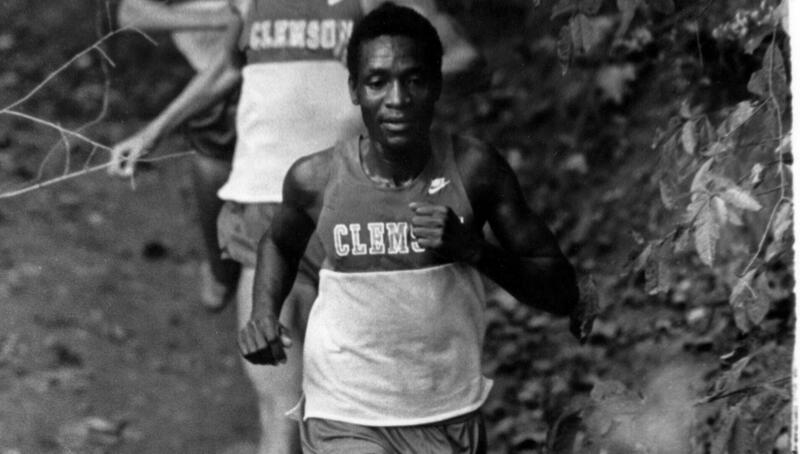 CLEMSON, SC – Julius Ogaro, former Clemson athlete who is known for his heroics in the 1980 ACC Outdoor Track & Field meet, died in May in his native country of Kenya after a short illness.Ogaro who was elected into the Clemson Athletic Hall of Fame this past spring, was named the 1980 ACC Outdoor Track & Field Meet MVP after winning the 5000 and 10,000 meter runs as well as the 3000 meter steeplechase in the two-day event. Participation in this combination of events in one weekend is very difficult and almost unheard of due to the distance and demands of the races.By Ogaro winning the three events, it ended Maryland’s 25 years of consecutive ACC Championships at the ACC Outdoor Track & Field Meet, and it was Clemson’s first ACC Title in Track & Field in school history. In 1981, Ogaro was an All-American in the 3000 meter steeplechase.In cross country, Ogaro won the ACC Individual Championship in the 1981 meet and was named All-ACC in 1980.Ogaro will be inducted posthumously into the Clemson Athletic Hall of Fame in ceremonies on the weekend of October 12.